A Man For All Seasons was directed by Fred Zinnemann (1907-1997), who also directed High Noon and From Here to Eternity, which won a Best-Picture Oscar in 1953. The movie was written by Robert Bolt (1924-1995) and based on his play of the same name. 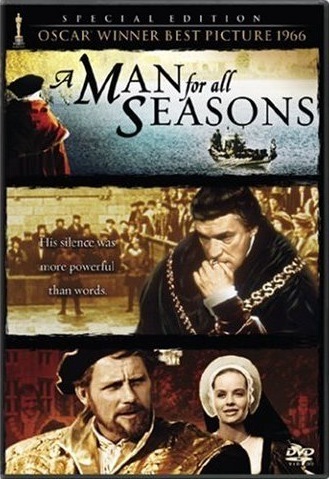 A Man For All Seasons is a powerful movie, filled with amazing performances, and unforgettable characters. I was riveted to it, especially Paul Scofield’s performance as More. 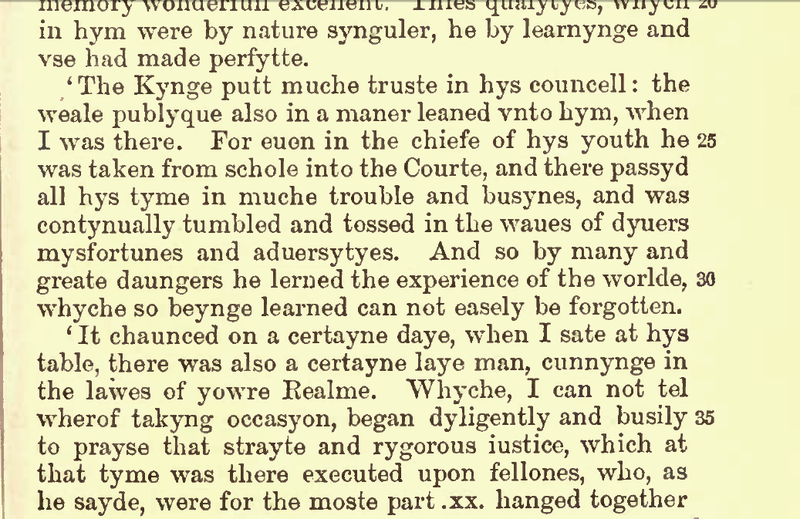 More’s thoughts are among the highest I’ve ever read. 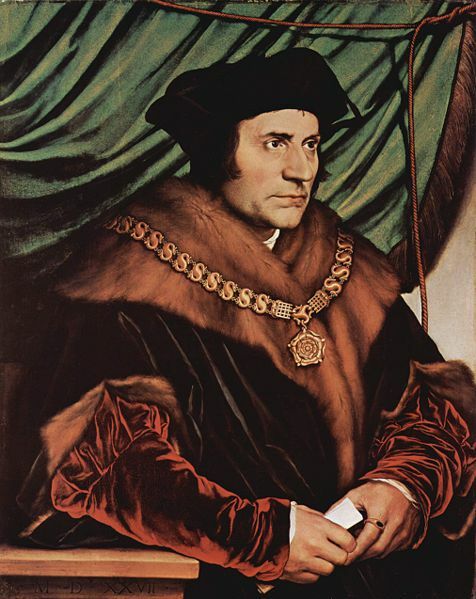 His mind was keen, able to grasp the deepest theological concepts and marry them to the loftiest philosophical ideals – with the result being conclusions of logic and reason that are as applicable today as they were in the 1500s. More wrote voluminously. But, arguably, his greatest work is Utopia, which can be downloaded free here. Far from being a dry recitation of historical facts, A Man For All Seasons received eight Academy Award nominations and won six: Best Actor in a Leading Role (Scofield)…Best Cinematography, Color…Best Costume Design, Color…Best Director (Fred Zinnemann), Best Picture (Fred Zinnemann)…and Best Writing, Screenplay Based on Material from Another Media (Robert Bolt). This is the 29th film out of 39 to be an adaptation, which means the percentage of movies Hollywood has deemed Best Picture that are based on material from another media is 74%. That is a remarkable figure. I used to think Hollywood was the idea factory, the world-leading fount of movie-making creativity. Apparently, that’s not the case. At least, not for Best Picture winners. To consider the figure of 74% another way, only 25% of the movies that were chosen Best Picture were the result of original thinking. That’s not to say it didn’t take creativity and talent to make movies based on books, plays, short stories, or characters in one of the three. Not at all. I mean merely that my assumption was that Hollywood was the originator of ideas, not merely the method by which the ideas of others are transformed onto the big screen. A Man For All Seasons is a movie I will watch again. And again. This is acting at its very best, combined with intelligent, precise screenwriting, and placed into the hands of an accomplished director. I love this for all the reasons you mention – great acting by Scofield especially, memorable dialogue (from Bolt’s play of the same name), the lovely look of the film. It is, as you say, the work of a master director.